The place to learn about closed cell gaskets materials and their application. 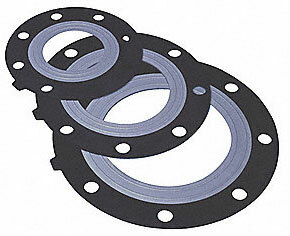 A gasket is a mechanical seal. It fills in irregularities between two or more hard surfaces. 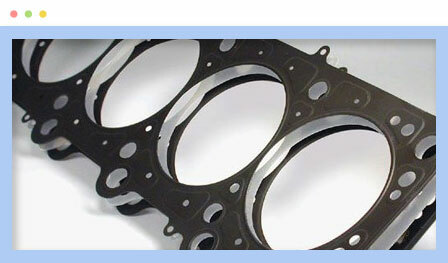 The gasket’s purpose is to prevent leakage from or into the joined objects while they are being compressed. 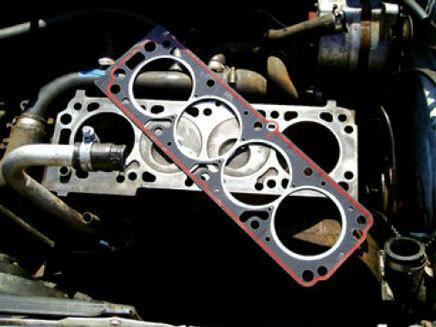 Gaskets can also be used to protect moving parts from damage when they meet. Closed cell sponge rubber is a compound with chemical additives mixed in to create a sealing agent. They come in soft, medium and firm densities. Closed cell sponge rubber can be blended with other materials to create polymers which are stronger and work better under varying conditions. UL listing for its full series of Neoprene/EPDM OK Series under UL listing #JMLU2 MH10200. The listing covers Durafoam™ DK1111LD, DK2121MD, DK3131MD, DK4141HD, and DK5151HD. Why Is Closed Cell Foam Rubber Used For Gaskets? 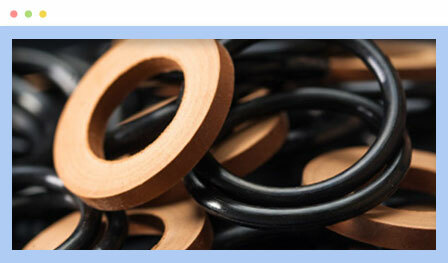 Rubber sponge gaskets are used when a soft protective seal is necessary. Rubber sponge gasket material is composed of cells that contain air. Each cells is like a little balloon. When pressure is applied the gasket will deform as it accepts the pressure. The technical term for closed cell sponge rubber is expanded rubber. Closed cell foam is defined as a cell totally enclosed by its walls and not interconnecting with other cells. Closed foam sheets are usually made by introducing a rubber compound to a gas, such as nitrogen, under high pressure. The cells are like individual balloons, holding gas and not allowing moisture to pass through as long as the cell wall has not burst. The majority of closed cell neoprene sponge rubber and blended sponge rubber products can be die-cut and are usually available with or without pressure sensitive adhesive (PSA) backing. Closed cell sponge rubber gaskets are utilized in a variety of industries including: appliance, automotive, construction, sports equipment, electrical enclosures, HVAC, marine, and lighting. The outstanding characteristics of neoprene often make it the polymer of choice. Closed Cell Neoprene is resistant to acid, alkali, gasoline, and oil. It is often used when an application requires resistance to UV, oxidation, and ozone in long-term outdoor applications. They have a temperature range around -40°F to 150°F (-40°C to 66°C) depending on the manufacturer and can meet the UL94HF-1 flame rating. This material is used in many industrial sealing applications, such as gaskets used in electrical enclosures, weather stripping, door gaskets, and automotive products. This mixture combines three polymers, creating a gasket material that is used in indoor and outdoor applications. Neoprene/EPDM/SBR closed cell sponge is resistant to ozone, sunlight, and oxidation. It performs well in applications that range in temperature from -40°F to 200°F (-40°C to 93°C). It is often used for general-purpose sponge gaskets and can take -70°F without cracking. Oil resistance; however, is not as good as on 100% neoprene sponge products. Closed Cell EPDM Sponge Rubber. EPDM (Ethylene Propylene Diene Monomer) closed cell sponge rubber exhibits good aging properties and compressibility. It also offers excellent resistance to ozone and oxidation. Closed cell EPDM sponge is used most often with outdoor conditions such as water, ozone and indirect sunlight. Closed cell EPDM sponge materials will not meet the UL flame rating without additives and they will not withstand oils or fuels. 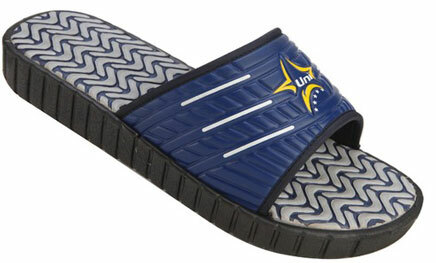 However, they will stand up to outdoor conditions such as water, ozone and indirect sunlight better than neoprene. This rubber sponge material is deployed in HVAC systems and other flexible sealing applications, because it is resistant to compression set and atmospheric degradation. 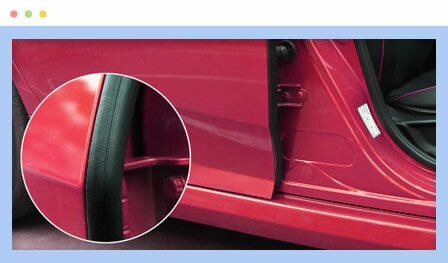 It is also used for automotive taillight gaskets because of its excellent resistance to ozone and its unique sealing characteristics. It also serves as gasketing for outdoor electrical enclosures. Closed Cell Nitrile (Buna-N) is a gasket material for sealing applications that require fuel, oil, and UV resistance. Also resistant to vegetable oil, animal oil, and mineral oil, gasoline, diesel and other aliphatic and aromatic hydrocarbons. Closed Cell Nitrile (Buna-N) Sponge Rubber can handle temperatures ranging from -40°F to +200°F. Nitrile has poor resistance to ketones, chlorinated hydrocarbons, and nitro hydrocarbons. It does not have good ozone, oxygen or sunlight resistance without the addition of special additives. It is used in fuel and oil handling hoses, petroleum oil seals, grommets, hydraulic fluid seals, transmission fluid seals, and shock and vibration mounts. Closed Cell Epichlorohydrin (ECH) offers fuel and chemical resistance and performs well in applications where temperature can range from -40°F to 300°F (-40°C to 149°C). Closed cell ECH sponge materials are often specified for under-the-hood automotive gasket applications due to their ability to handle continuous temperatures of 300°F and some light oil and fuel contact. They also have good resistance to weather, ozone, sunlight and oxidation. ECH sponge rubber demonstrates resistance to alcohols, halogenated solvents, aliphatic, aromatic, and chlorinated hydrocarbons, petroleum-based, silicate ester, and water/glycol hydraulic fluids, and many other solvents. Closed Cell Neoprene / PVC / Nitrile sponge is an economical sealing and gasket material for applications requiring resistance to chemicals and conformance with UL 94 flammability ratings. It is used in automotive and electrical applications. This material works in temperatures ranging from -40°F to 200°F (-40°C to 93°C). It tends to have slightly lower density than most closed cell sponge products, and the water absorption properties are slightly higher than closed cell neoprene. It can be used for gasket tape or gap seal on duct work for HVAC units and to create an air tight seal in metal-to-metal bonding applications as well as for tail lamp gaskets or seals. Closed Cell PVC / Nitrile sponge rubber delivers energy, impact, and shock absorbing properties, and good chemical resistance. Closed cell PVC/nitrile sponge is designed for applications where temperatures can range between -40°F to 200°F (-40°C to 93°C). Closed cell PVC / Nitrile sponge rubber is a premium gasket and seal material and is also an excellent material for padding and shock absorption applications. Although closed cell PVC/Nitrile rubber can be used for a variety of industrial applications, it is also used as protective padding in personal protective equipment, sports gear, and many other commercial applications. Closed Cell Silicone offers solid sealing qualities, plus compression set, flame, ozone, and UV resistance. This high-end closed cell silicone is widely used for demanding applications and is excellent for applications that encounter extreme temperatures between -103°F and 450°F (-75°C to 232°C). 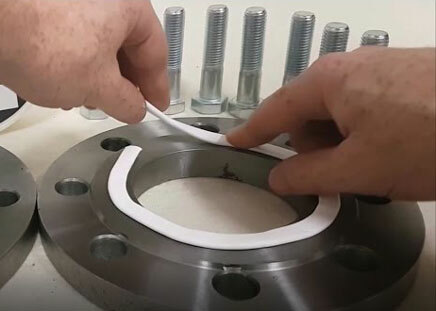 The resiliency, high temperature stability, and general inertness make closed cell silicone sponge rubber a preferred gasket and sealing material for a range of industrial, mechanical, military, and commercial applications. 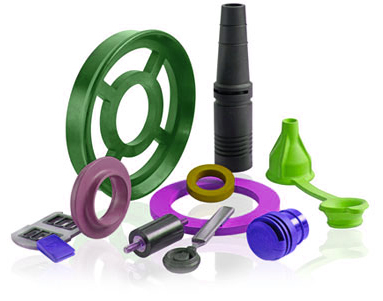 Closed Cell Silicone is used for gaskets and seals for industrial, automotive, food grade and medical device applications. It is also used for stripping and insulation for industrial and automotive applications, and for reducing noise, vibration and harshness in industrial and automotive applications. Closed Cell Ethylene Vinyl Acetate (EVA) is light weight and odorless. 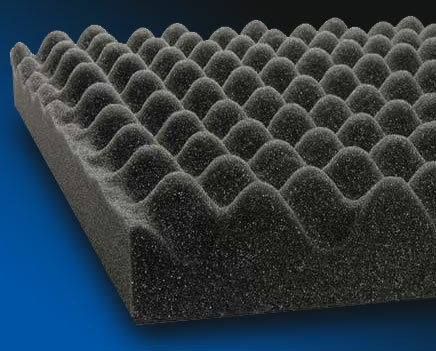 Closed cell EVA foam exhibits good mechanical strength, excellent chemical resistance, high buoyancy, low water absorption, and good acoustic properties. Closed cell EVA foam also demonstrates excellent climate, temperature, and aging resistance in outdoor applications. EVA is especially useful in applications where components will be submerged in or come in contact with water. Closed cell Ethylene Vinyl Acetate is also used as a shock absorber in sports shoes and padding in equipment for sports such as hockey and boxing. It can be found in wakeboard boots and ski boots. This material is also used in orthotics. Collection of sources of technical information about Rubber and Plastics polymers for reference and education. 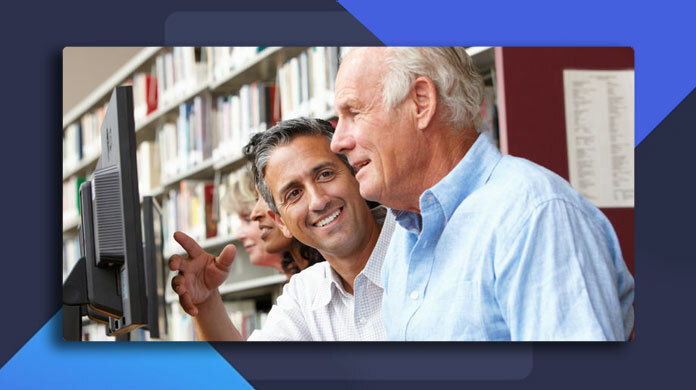 The place to learn about rubber and plastics materials and their application.